I just bought this yesterday but it had been on my TBR list for a while. I loved it! I liked the little hint of paranormal, not too cutesy or over-the-top, just enough to add a twist to the story. The character Clara with her unwanted “gift” is an interesting and likable character. The story has enough of a cast of characters without becoming overwhelming or a distraction. Even the “villain” is given a human face, which is different from many mysteries. Also, I always enjoy a book shop theme in a cozy. 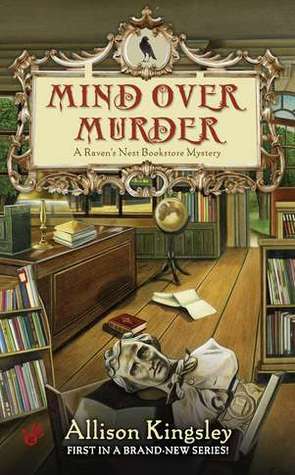 A good read for cozy mystery fans, I will definitely get the next ones in this series. This entry was posted in Book Reviews and tagged book review, mystery, paranormal.